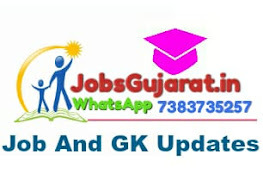 Gujarat State Road Transport Corporation (GSRTC) Has Published the Conductor Official Answer Key 2018, You can Download Also Question Paper From Given Below Link For Your Further Use. GSRTC Bus Conductor Job is not that much easy as the competition for the GSRTC Examination is very high. So, take the help of GSRTC Conductor Exam Paper during your preparation. The GSRTC Job is in your hands if your practice complete with all Gujarath state RTC Bus Conductor Previous Papers with answers.